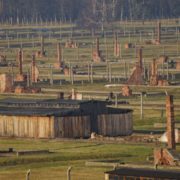 The Holocaust was a specific, disquieting event in history, an unexpected rupture in humanity, yet it has become a trope for other genocides since its occurrence. The Shoah is universal because of the sweeping reach of not only its victims but also because it has penetrated popular culture through its over-simplification as a generic expression for mass murder. People make a far-reaching comparison between, for example, the Rwandan genocide and the Holocaust, but this comparison belittles the victims, the inhumanity, and the specificity of both horrendous events by placing them under this all-encompassing blanket of ‘mass murder.’ Perhaps these comparisons are made to try to understand why these events happened, how the culprits could have committed these acts against humanity, or to cope with the grief and consequences of the seemingly senseless murders. 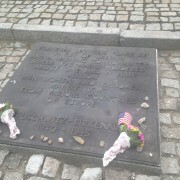 The Holocaust is this universal story, a sad, horrific one, yet its use as a universal generalization takes away from the memory and memorialization of its victims, perpetrators, and survivors; from its specific place even if there is not ‘one’ Holocaust memorial; and from the past, present, and future reconciliation between nations of those who endured this evil and its executors. The Holocaust is a history that should be told over and over, heard multiple times, printed in every language, yet unfortunately with this account being heard repeatedly, it loses some of its significance. It becomes this far away thought when it is simplified to statistics and a few places; it is so much harder to comprehend when it becomes just a tidbit of knowledge, a fact, or a notecard that a student has to memorize for an exam. The over-simplification to solely, ‘throughout Europe during World War II, 12 million people were murdered, six million of them Jews,’ takes away from the memory of the event. Who were the other six million people? Where did they come from? What religion were they? How were all 12 million people killed? Where exactly did these murders occur? Was Nazi Germany the only perpetrator? Why were they murdered? Where are the graves? Were families informed? The short textbook sentence does not even begin to explain the truth. Yes, in general, it is true. But do people know that mass shootings killed more than those who were killed in gas chambers? Do people know that there are mass graves all throughout Europe, hidden in forests, that all the victims were not burned? Does the general public know about pogroms in cities? Do people know that the Katyn Massacre was a result of Soviet hands? There is an infinity of questions to be asked, and most likely only a handful of answers to be found. The generalization of the Shoah forgets all these queries and remembers the victims as twelve million, not as parents, grandparents, children, siblings, friends, not as faces. The word becomes empty: the victims, perpetrators, and survivors lose their place in history. They become an afterthought. 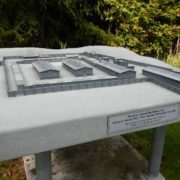 There is a multitude of sites that remember the Holocaust and memorialize its victims that span the European continent but there is no official memorial that commemorates the Holocaust as a whole, and only as a whole. 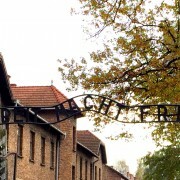 One can argue that a place like Auschwitz is a Holocaust museum as it is the most notorious, but another can argue that the Holocaust did not originate behind the ‘Arbeit Macht Frei’ sign, in fact the first concentration camp was Dachau, but was a concentration camp even the first act against humanity? Or was it the rounding up of groups of people into ghettos? 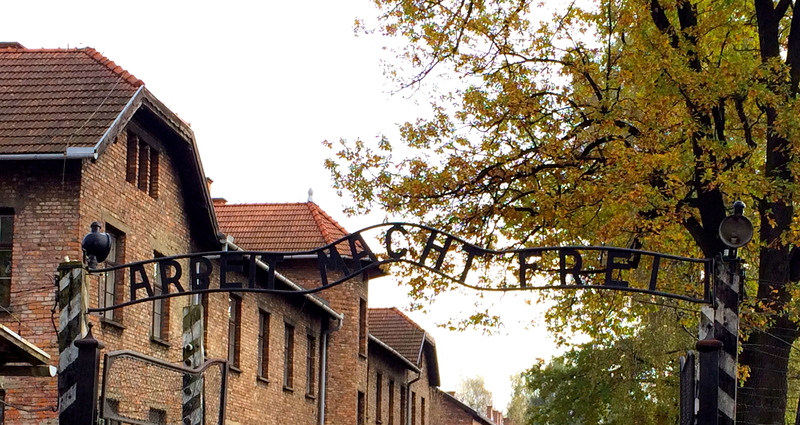 There can be a place where the Holocaust could be said to originate, there can be a place where the most people were murdered, or it could be the final place of mass murdered before Allied liberation. 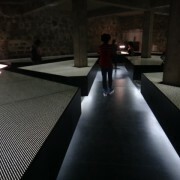 How would a museum incorporate all the aspects of the Holocaust without focusing too much attention on one group and not enough on another, on one method of mass murder without forgetting another, or on one place compared to another? 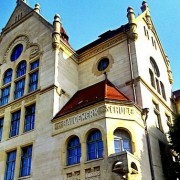 But first of all, where would a Holocaust museum be set without giving special privilege to one country over another? 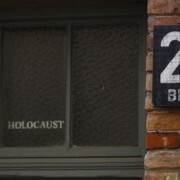 Should Berlin house it because that is where the Final Solution was planned and because Germans were the main transgressors, or should they not for those same reasons? 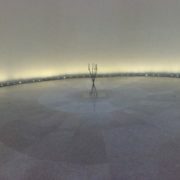 Should the Jewish population take the project upon their shoulders, or not because they are spread out throughout Europe and if the decision was to build the museum in Israel, how can a museum not be at an actual site of memory, or devastation; it would not even be on the same continent. Also, if it were in Israel, how would the museum equally remember those not of Jewish heritage? But even with this problem, the other problem of not having one place leads to an issue of multiple threads of one story, which makes it easier to generalize it, under one blanketed topic. Finally, there cannot be a generalization of reconciliation, forgiveness, and peace if not all parties share in memory or fully acknowledge their participation in the Holocaust. In Edward Said’s piece, Invention, Memory, and Place, he says, “Yet there can be no possible reconciliation, no possible solution unless these two communities confront each’s experience in the light of the other.” This is evident in Lithuania. 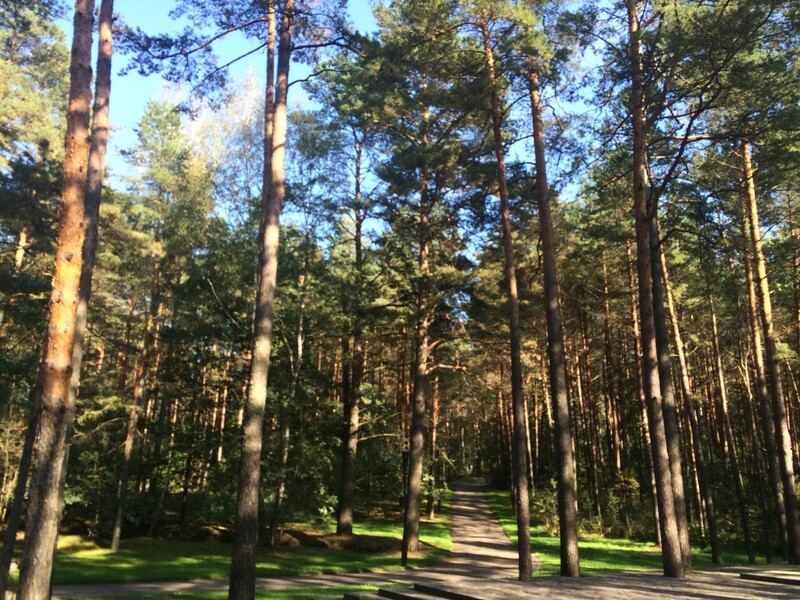 During our trip to Vilnius, there is not only no memorialization of the victims of Holocaust but also there is no public admittance of guilt for their participation, for their actions against the innocent. 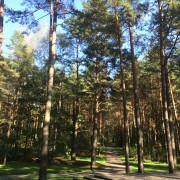 How can they, they as the Lithuanian collective consciousness, feel sorry for those subjugated to the horrors of the Holocaust if they refuse to remember the pogroms, during which they killed Jews, and the mass shootings, like that at Panerai Forest. Sure, there is a small museum dedicated to the Jewish heritage of Vilnius and there is a memorial at Panerai, but are they like that of which any country who has admitted its guilt has? 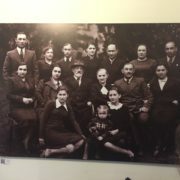 The collective human consciousness that spans time since the Holocaust till now knows that Lithuanians were also victims in the Holocaust, so, in a sense the one community has confronted the other’s experience and is now awaiting the same. With no simplification of reconciliation a question of the Holocaust is still open-ended, do the perpetrators feel guilty, want to atone for their atrocities, want to remember their wrongdoings for posterity? Today, this question seems ludicrous, but with some communities refusing to see their wrong, it is still asked. 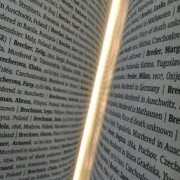 All in all the trope of the Holocaust diminishes its place in history; it can now be moved around from place to place. Granted, holocaust was a word before the Holocaust gave a different meaning to the word but it is the Holocaust that has become as common as an expression as genocide or revolution. 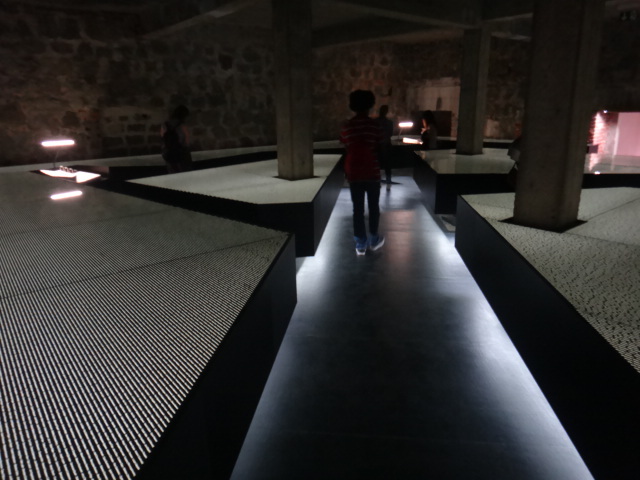 The event is losing meaning, so perhaps that is why each site of the Holocaust seems to be more important than creating an inclusive museum, at a neutral location. But in the sense of the generalization of reconciliation, if we only talk about admittance of guilt, it would be a good thing if we could simplify it down to all parties have atoned for their crimes. Creating this simplistic idea of what happened 70 years ago does nothing for the remembrance of the Holocaust, to remember past mistakes for posterity, to remember a different era of thought, to remember all the victims of this mass murder.